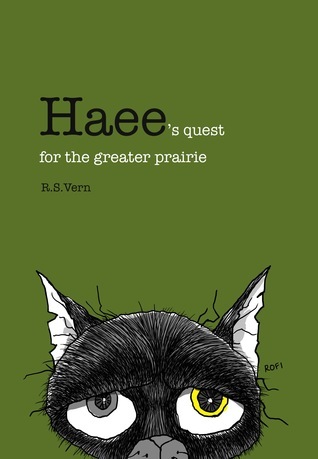 Reviewed by Mamta Madhavan for Readers' FavoriteHaee's Quest for the Greater Prairie (Haee and the other middlings, #3) by R.S. Vern is the third book in this trilogy. In this story, Haee leaves Whie and by doing so, he bids adieu to his life at Green Alley. He has nowhere to go and he keeps searching for new places, until finally deciding to go to a familiar place. It is the home of Tom and Jane which will give him comfort and happiness. The story carries on from where it left off in the first and second books and keeps you entertained with the help of Haee.This book is appealing to all age groups. The simplicity and originality of the theme is endearing. It is the kind of story that everyone will enjoy reading. Middling City, Haee, and the beautiful illustrations make the book exciting to readers. Those who have already read the first and the second parts will definitely love this book. The black and white sketches are beautiful, thought provoking, and original, and they give a personality to the characters mentioned in the story.The language is simple and children can understand it easily. It is a good book to introduce children to reading. The simplicity of the language and big pictures will captivate them quickly. It is an ideal book for reading sessions. Will Haee be happy and find comfort with Tom and Jane? Or will he have to go looking for another home?